Lake Homes Realty was the highest-ranked Birmingham-area company to make the 2017 Inc. 5000, the prestigious annual ranking by Inc. Magazine of the 5000 fastest-growing companies in the U.S.
Lake Homes Realty landed in the top fifth of the 2017 list, at number 927, courtesy of its three-year growth of 473 percent. To be eligible for inclusion in the Inc. 5000, companies are evaluated for growth from 2013 to 2016 and ranked by revenue growth rate. This was the first year Lake Homes Realty was eligible for inclusion in Inc.’s analysis. Nationally, Lake Homes Realty was ranked the ninth-fastest growing multi-state real estate brokerage. The company was the only Birmingham-area business to make the top 1,000, and was the eighth-highest ranked of the 59 Alabama companies on the list. “All of us at Lake Homes are thrilled that our hard work has paid off with this kind of national recognition,” said Glenn S. Phillips, CEO of Lake Homes Realty. “And in many ways, we are just getting started. Our growth this year has been outstanding and we’re excited what our growth has done to genuinely benefit our real estate buyers, sellers and agents,” Phillips adds. Lake Homes Realty has grown to become the nation’s largest lake-focused real estate company. The firm’s website, LakeHomes.com, aggregates lake-area real estate listings from more than 60 Multiple Listing Services (MLS) in 13 states. Increasingly popular with lake real estate buyers and sellers, LakeHomes.com is on track this year for more than 4 million visitors, and that already includes people in from every state and nearly 100 countries on five continents. Since 2013, the company has expanded it’s licensed real estate brokerages from one state to now thirteen states in the Southwest, Southeast, Mid-Atlantic and New England regions. Additional states are opening operations this year. 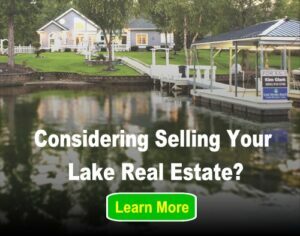 Lake Homes Realty offers a unique combination of services to prospective buyers of lake property: the convenience of using a single website to research all thousands of lake-related listings coupled with its own licensed local real estate agents. 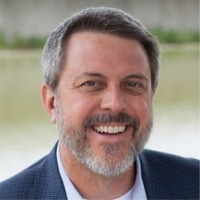 LakeHomes.com currently provides visitors with access to view and search real estate listings totaling more than $16.5 billion across more than 500 local lake markets in 13 states.